According to basketplus.gr, Fenerbahce are interested in Sasa Venezkov(2.05-F) who is the best prospect of Bulgarian basketball. Vezenkov has been voted as the best young player of the Greek A1 league last season playing for Aris but in 4 days he becomes 18 years old and he'll be signing his first pro contract. Aris have been trying to persuade the player to stay with them but at this stage they can only hope in a small compensation from FIBA as the player is most likely not to sign with them. 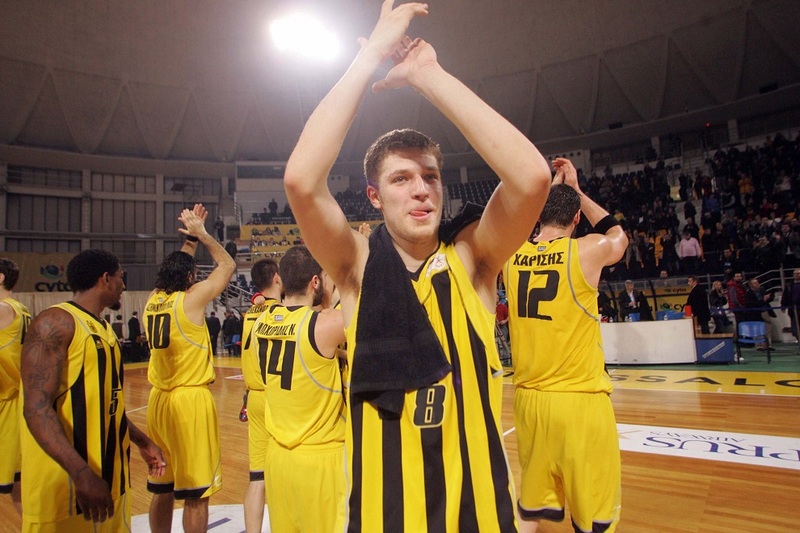 It seems that Zelimir Obradovic is interested in the young forward and with good reason. It seems that there is a relation to Tito Papazov, the current coach of the National Team of Bulgaria who would have sung the praises of the player to Obradovic. However it seems that all the foreign player positions in Turkey would are filled and Vezenkov would like a lot of playing time. This is something that Aris can give but they're not interested in keeping the player on a loan agreement as they want to keep him for a number of years. Vezenkov's final decision will be made just after the 6th of August when he becomes an adult and he'll be able to sign his first contract. Currently he is resting after playing for the U18 National Team of Bulgaria averaging 22.4 points 10.2 rebounds and 2.9 assists in 9 games.